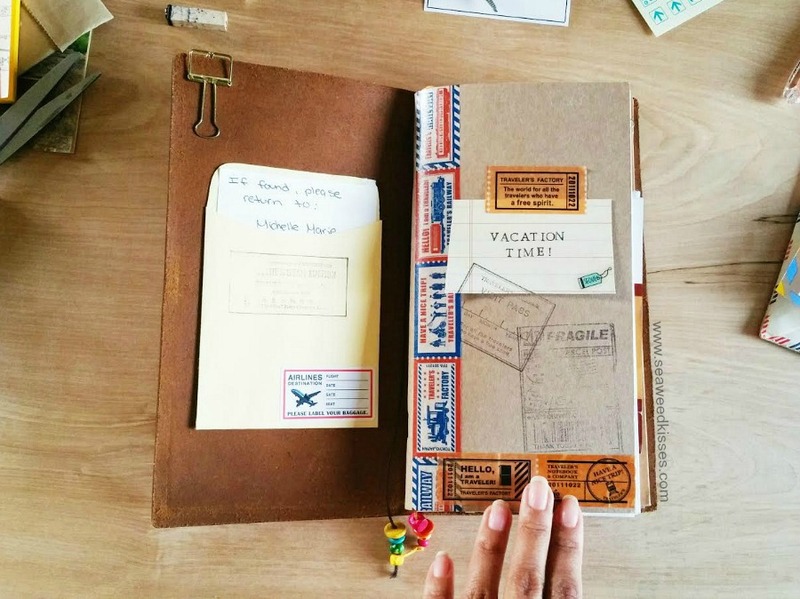 As promised, here are a few travel journal snippets from my trip to Korea this year. Weeks leading up to my vacation is always exciting as I thoroughly enjoy the whole preparation and planning process. Packing, in my opinion, has to be the most stressful part of traveling. Don't want to pack too much, then the suitcase gets heavy and limits room for fun souvenirs. Don't want to under-pack, though, risking the chance of not having enough outfits, appropriate shoes, accessories, etc. for the trip. You've got to find that perfect balance, which can be tricky. That's why I prefer traveling to Korea end of summer. Weather's predictable (warm + sunny), summer clothes are lighter, and summer attire pretty much look good in any pair of sandals any day. Want to hear a fun story? While I was on the connecting flight to San Francisco, my seat just so happened to be diagonal from another journaler! I couldn't believe my eyes. It was like spotting gold in the middle of a wheat field. Oh my gosh, I was so surprised, so hyped, so excited, so curious, so many questions I wanted to ask this lady. My journal fanatic self was screaming for me to get up and just talk to the lady, but my social proper-etiquette self was telling me not to draw attention to oneself...Can't risk the embarrassment that may come about during that hour and a half flight. "Stay cool, don't look like a fool, Michelle." "Umm...excuse me. I just wanted to say that I love your journal!" "I wasn't trying to be nosy (*we all know that I was, though..haha*), but I couldn't help to notice the pages full of your beautiful journalings. May I ask how you're using it? Is it a travel journal of some sort?" "Oh, no. It's a notebook I use to keep track of sessions and interactions with my clients." "Your clients? Oh, wow! How nice. Sooo...do you teach art journaling of some type?" "No, it's more for therapy." "That's so neat! Do you have like a social media account that you share any of your journalings on? I'm always looking for inspirational sources, and yours is just so lovely!" "Okay, well, thank you for your time!" Yeah, pretty short and brief. The journaling lady kept her answers short and sweet, so I got the message. But I was soooo secretly hoping to become her best friend during that flight. I even played out the scenario where her and my husband would swap seats, and her and I would sit side-by-side just chitchatting the whole plane ride to Cali. But no. Sadly, that was not the case. Anyway, that was certainly a great start to my vacation. Spotting another journaler! I feel like we're rare to come by, at least in public. What about you? 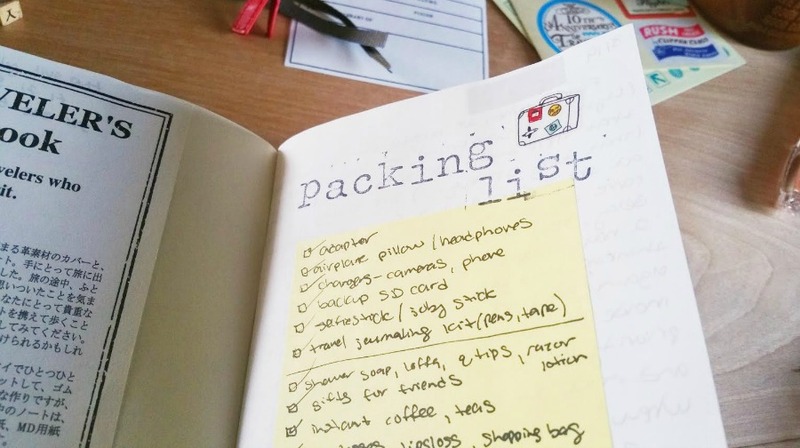 Have you ever spotted another journaling/planner user while out and about? Be sure to stay tuned for part 2 of The Travel Diaries! Also, if you haven't already seen it, I put together a short video of Day 1 & 2 in Korea. Love your blog, its just full of inspiration! 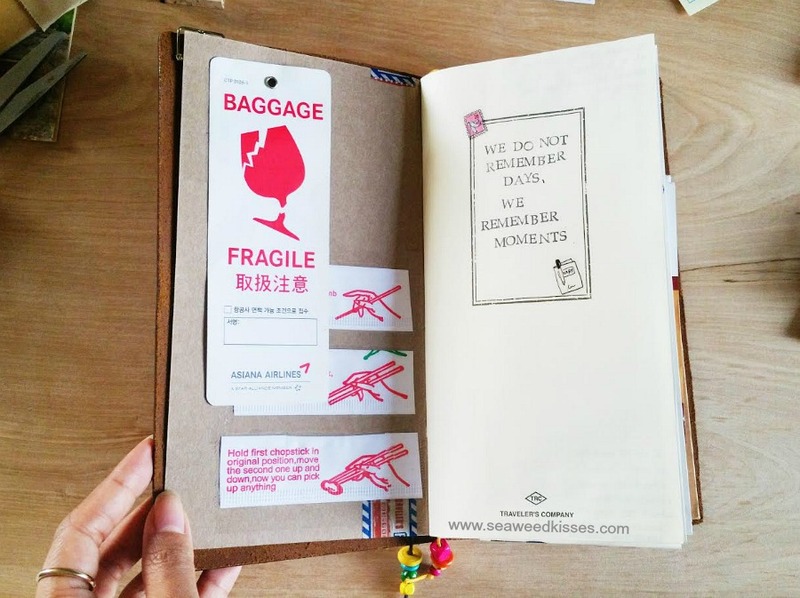 Im planning to get my first Traveller's Notebook but I cant decide on the size (and I'd rather have everything in one journal). How was traveling with the regular sized one? Heard some people say its not very convenient. But the long size really cought my attention. There is personal size as well, but I found there isnt many inserts available for it here in UK (or at least all are pretty bare/white/brown).